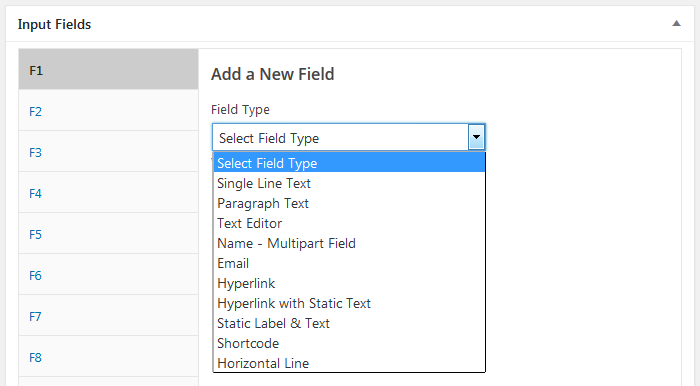 Select a field type and click Publish/Update. Once created the field type can’t be changed! You can have up to 40 fields. You don’t have to create fields in a specific order. You can reorder fields anytime.